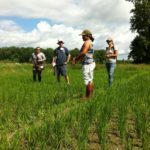 Recognizing that participating in real, hands-on agroecology-related research has resulted in important results for student engagement and learning. In response to requests from current farmer partners for research that is useful and relevant, this proposal seeks to expand the PSS/ENVS 212 (Advanced Agroecology) service-learning course to incorporate participatory action research (PAR) co-facilitated by student interns. Four students will be selected as “Farmer Team Captains” or FTCs, and will work closely with faculty and staff of the Agroecology & Livelihoods Collaborative, farmers and their student peers, while gaining strong leadership skills, experience in conducting and facilitating agroecological research and learning what a multi-actor PAR process requires to succeed. This project has been funded by the Engaged Practices Innovation (EPI) Grant at the University of Vermont. 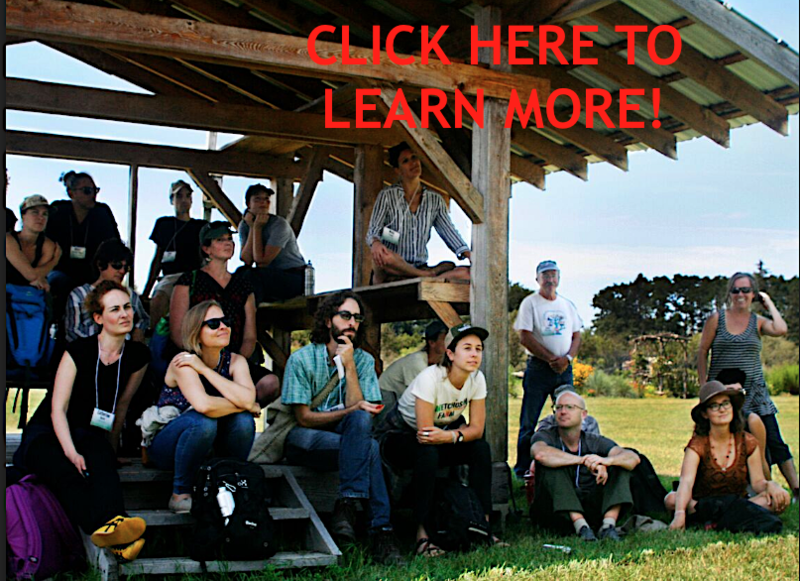 Initiated in 2016 with interests in Vermont and Cuba, this participatory action research (PAR) project is partnering with Vermont organizations conducting agriculture in the urban or peri-urban fringe of Burlington, Vermont. 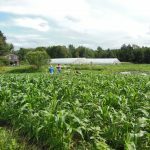 These include Intervale Center, New Farms for New Americans, UVM Catamount Farm, and Vermont Community Garden Network. A seed grant from the Gund Institute for Ecological Economics is allowing us to undertake learning exchanges with urban and peri-urban agroecology counterparts in Havana, Cuba. Broadly, this initiative focuses on conducting a transdisciplinary agroecological analysis on the opportunities, challenges and resilience of urban and peri-urban agriculture for farmers, the organizations that support them and the cities where they are located. Leek moth (LM), Acrolepiopsis assectella, is a relatively new invasive pest currently expanding its range through Vermont. Endemic to Europe, invasive moth populations within North America can inflict significant damage to a diversity of allium crops including onions, leeks and garlic. 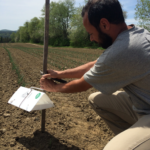 Currently our research group, in collaboration with NY Cornell Cooperative Extension, is conducting a statewide monitoring program for this pest and testing different varieties of onions and exclusion treatments (i.e row covers) to protect onions from leek moth. We are also assessing the efficacy of entomopathogenic nematodes as a foliar biopesticide spray. This project is funded in part by The Vermont Agency of Agriculture and The Onion River Coop. 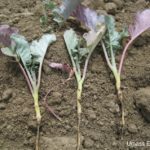 Entomopathogenic Nematodes for Pest Control in Northeastern Soils. In collaboration with the Shields Lab at Cornell University, our team is conducting a project to determine the utility of entomopathogenic nematodes (EPNs) as biocontrol agents for insect pests. As part of this study we are currently working with diversified farms in Vermont in pest systems identified through our PAR process. This SARE funded research project aims to identify emerging trends and innovative strategies which farmers are using to successfully adapt to extreme weather on vegetable and berry farms in New England. The purpose of this study is to generate usable information, and is based on the idea that many farmers are actively and successfully adapting to severe weather to sustain the economic viability and ecological health of their farms. 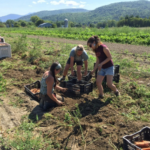 Six farmer organizations in New England are participating in the study to facilitate knowledge exchange across networks within the region, including MOFGA, NEVBGA, NOFA, CISA, Northeast Permaculture Network, and the VTVBGA. The project involves a regional survey and then convenes farmers in focus groups to make recommendations about how to best support their peers, and particularly vulnerable community members, in planning for extreme weather risks. More information and research updates are here.